Tried, tested and produced by a farmer, for farmers. With the use of calf jackets you can make significant savings on feed, medication and bedding costs, by better conversion of energy to growth rather than warmth and reduce the risk of pneumonia and scours from chills and draughts. Available in a choice of black or brown. 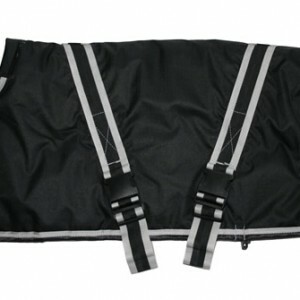 We supply calf jackets to vets accross the country. Fantastic, didn’t want to take them off! Well worth 1.) Money 2.) Persuading my husband of all the benefits these coats give to new-born’s up to weaning calf’s. We washed them in the washing machine, come up like new! Such good quality. Lovely, lovely, lovely. Fab! I liked the jackets a lot, during the cold weather they really helped keep the new-born calves warm which, in turn meant the calves were full of energy, not shivering in a corner. Also they grew better because the food was going to growth not creating body heat. PS. Please don’t put the price up! 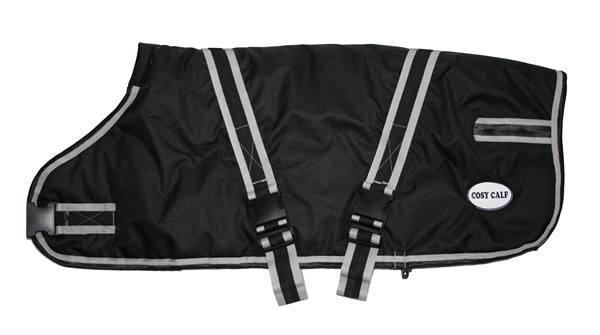 Great value for money calf jackets, which has definitely saved calves, lives on our farm. All calves now wear a jacket from birth through to three weeks of age, reducing energy waste and better weight gain. Kat Bazeley. BSc BVSc, CertWEL, MRCVS. Vet at Synergy Farm Health Evershot, Dorset. I personally have found these calf coats have saved lives and cut vets costs/medication down considerably. Very impressed and will continue to have all my new-borns in them. Many thanks. Denni Caldicott. Bold Farm, Calf Rearer. The rug is excellent and along with a heat lamp made all the difference to a very weak baby. Your service is first class, I will certainly spread the word as I think this is a brilliant idea and certainly beats the adapted dog coat that she started off with. Our herd is out wintered. Your Cosy Calf jackets helped the young calves to survive in awful conditions. We have a Hereford suckler herd, calving outside in the spring. This year, we put Cosy Calf jackets on all calves on day 2 till about 30. These animals definitely hugely benefited from the extra warmth provided by the jackets, which also made it much easier to handle them. I spend time taking rugs on and off horses. It makes so much sense to do the same to the most vulnerable animals on the farm – baby calves! They do so well with them, it helps them to get through the “day 10” scours – off milk, reducing need for medicine. 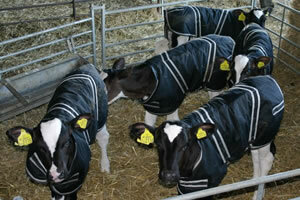 The calves thrived in hutches with a Cosy Calf jackets on. They grew so fast we had to adjust the jackets after a few weeks. Definitely stronger batch of calves than ever before. 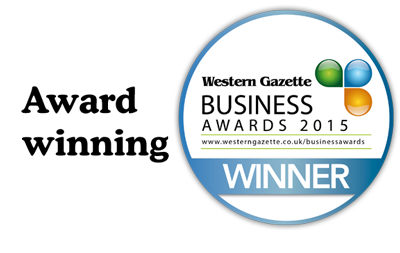 Website design by PC1 ltd.